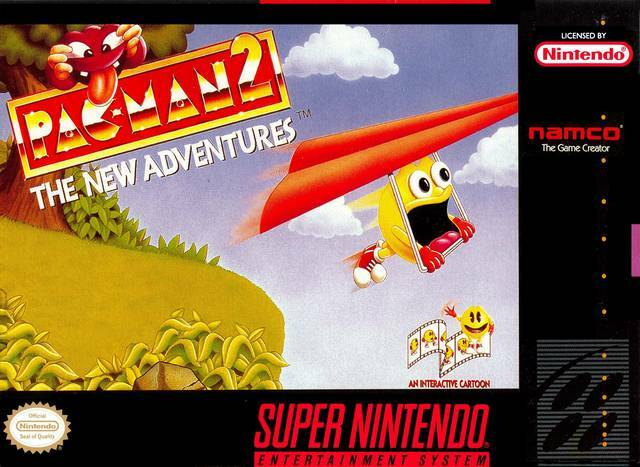 Pac-Man 2 for Super Nintendo has you guide Pac-Man through a series of cartoon like stages. Since you don't have complete control over the yellow hero, you will have to use a revolutionary Character Guidance Interface. As the adventure progresses, Pac-Man will go for a wild ride in a mine cart and an intense flight on a hang glider. For 1 player.